What was – and is – Swinging London all about? Sheer sartorial confidence! And with the WANDLE, our Strapped Chelsea Boot in Black Calf , you’ll have it by the bucket load. Smooth as a Lot’s Road antique dealer; sculpted as a King’s Road trustafarian’s dreads; and clean as the Chelsea FC trophy shelf. You can’t get more Chelsea than this boot. 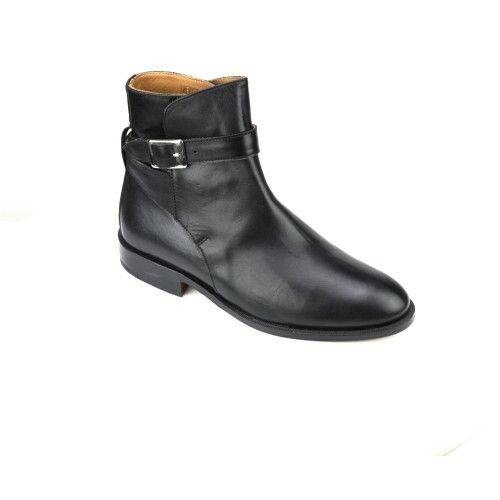 So step out, walk tall and stride your stuff in a Wandle Chelsea Boot in Black Calf!